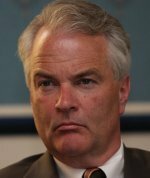 Earlier this year I wrote about NY 13th Congressional District Representative Michael McMahon. Read it here. In that article I detailed how Michael McMahon, a brother Knight of Columbus betrayed the Order, betrayed the Church with his perfect pro-abortion voting record. I suggested then that he model himself after another brother Knight, the great Rep. Henry Hyde. He did good things for constituents facing injustice, for which he deserves credit. 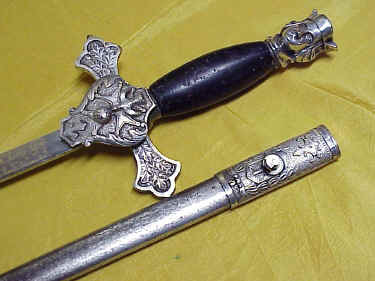 But not only did he not draw his sword in defense of the most defenseless of his constituents, he drew it AGAINST them! Those iconic ceremonial swords of the Knights of Columbus are all about a defense of the destitute, for which our Order was founded. They are about defending the clergy, the Church, the faith, and the unborn. I wish this man a long, long, LONG life to contemplate his atrocities, his betrayal of his defenseless constituents and the babies aborted by the hundreds of millions he voted for funding Planned Parenthood. Most of all, I pray that he come to a conversion of heart, that he heals his rupture with his fellow Catholics and brother Knights. I pray that he finds peace of mind after his conversion, and that he joins us in this great defense of the weakest among us, of this great defense of human dignity. The first and most important step has taken place. He has been stripped of his office, where he can do no further harm. on November 3, 2010 at 7:40 AM L.
Just out of curiosity….do the Knights ever expel members who don’t live up to their stated values? It seems that as a private group, they would have that right. We do reserve that right. And it is (rightly) a very difficult thing to do with the bar set extremely high. In the case of politicians, they will not do it for fear of losing their 501(c)(3) status. Let us hope that this serves as a warning to Mr. McMahon and that he repents. I agree. Some of our most powerful allies are the former abortionists, the former center directors, and the post-abortive men and women. Perhaps some day McMahon will number among them. For now, it is most merciful for him that he is no longer in a position to do further harm. It’s an essential first step in his reformation and salvation.